There was a great line-up of instructors and debriefs for this year’s CATO 2016 conference in Reno, NV. 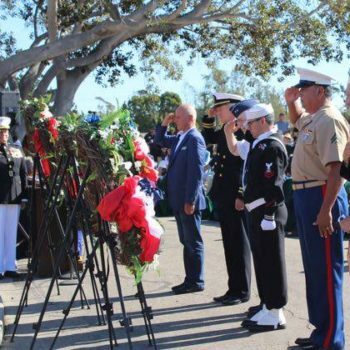 The California Association of Tactical Officers (CATO), is a professional organization dedicated to improving tactics and safety through education, peer contacts, and the sharing of professional experience. 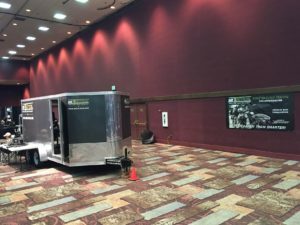 As a proud CATO supporter, SBTactical participated for the fifth consecutive year in the annual conference, which was held November 7th-10th 2016 at the Grand Sierra Resort and Casino in Reno, NV. 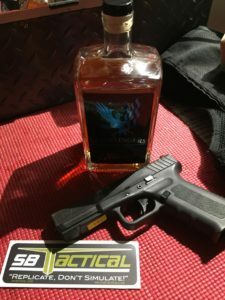 CATO’s goal is to “increase the professionalism and proficiency of special weapons teams and members across the state.” (catonews.org) SBTactical is proud to support the tactical training of law enforcement officers of our home state. We appreciate the opportunity to support an organization that provides us with a forum for the exchange of relevant issues and information. The conference also provides a forum that allows for industry professional to present new equipment and technology. With over 90 vendors participating at the conference, there were also two generous raffles to enter. 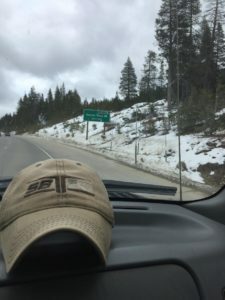 Our good friends at First Tactical, who we previously collaborated with for our equipment shoot with Kayla Bodron, raffled off an amazing trip for 5 officers and their families to spend a week at a private ranch in Montana. The trip included roundtrip airfare in a private jet. Additional funds were raised for The CATO Benevolence Fund. An internal fund that raises money to help officers and their families who have been injured in the line of duty. 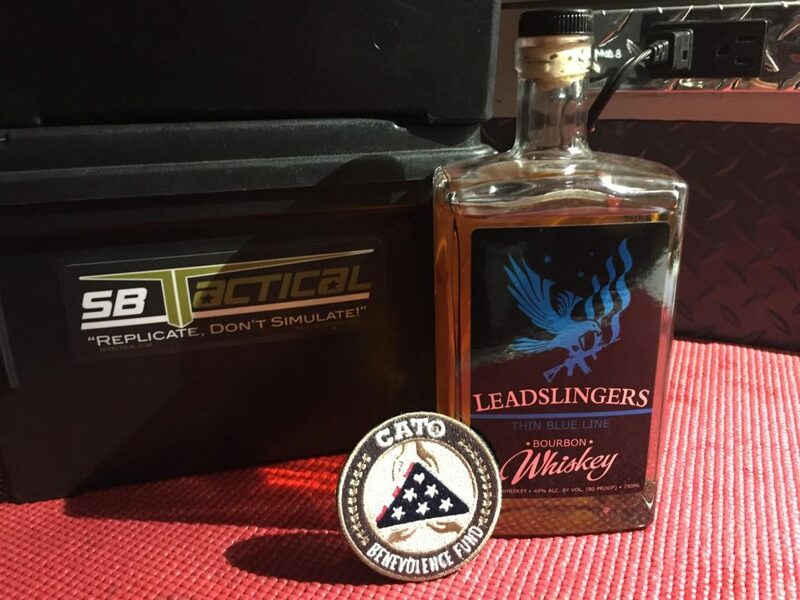 We couldn’t have been happier to have Leadslingers Whiskey donate a case of their limited edition Thin Blue Line whiskey to SBTactical in support of CATO. 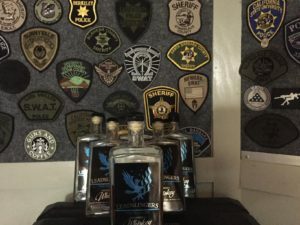 A portion of all proceeds from this limited edition whiskey will go to a fallen officer’s organizations. We decided to bring our Moblie Training Center on the vendor floor this year which offered officers a new opportunity for their departments force on force training programs. With the Lead Slingers Whiskey being “sampled”, many participants gained the courage to try our StressX belt. It was a great time handing out SBTactical mason jars and gathering with old friends and new. . Benchmade Knife Company was a crowd favorite as they offered free laser engraving to all officers who purchased knives at the show. Even after five years we are still impressed with this first class conference and all that participate. We want to thank Randy Wynn, the CATO board of directors, and all of the officers who participated. For more info about CATO and membership go to: http://catonews.org/membership/ See you all next year! Our SHOT show 2017 schedule will be posted on our IG and Facebook pages.